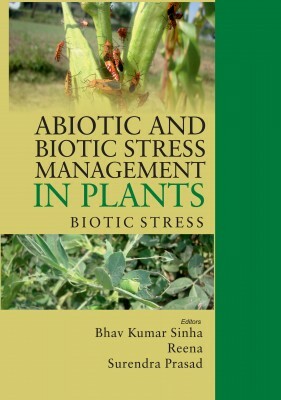 This book deals with an array of topics in the broad area of biotic stress responses in plants focusing “problems and their management” by selecting some of the widely investigated themes. Such as, Major insect-pest of cereal crops in India and their management, Biotic stresses of major pulse crops and their management strategies, Insect pest of oilseed crops and their management, Biotic stresses of vegetable crops & their management, Insect pests infesting major vegetable crops and their management strategies, Fruit Crops Insect pests and their Biointensive Integrated Pest Management techniques, Mass Trapping of fruit flies using Methyl Eugenol based Traps, Organic means of combating biotic stresses in plants, Nematode problem in pulses and their management, and approaches in pest management of stored grain pests. This book is useful for under-graduate and post-graduate students in Entomology, Plant Pathology, Agronomy, Horticulture, other cognate disciplines of agriculture and allied sciences and other research workers. We fervently believe that this book will provide good information and understanding of biotic stress problems and their management in plants.